To ask Danielle Pearl questions, please sign up. Not really a question?... but I just wanted to say you are my new favorite author!! Just started Normal last week and am almost done but this is one of the best stories I have ever read! You are an amazing writer and I literally feel everything the characters do. I cannot wait to read your other works! what was the biggest challenge when writing your first book? And how did you find an editor? Danielle Pearl I know it's the biggest no-no in the indie world, but my first book (and all of my indie titles) are currently self-edited. My traditionally published…moreI know it's the biggest no-no in the indie world, but my first book (and all of my indie titles) are currently self-edited. My traditionally published titles with Forever Romance have an amazing editor over at Grand Central Publishing--I'm super lucky! Time to Fall to Pieces! In Pieces is NOW LIVE! "Normal, book 1 was amazing, this was great but a tiny step down. Still a great read. Danielle Pearl voted for Birthday Girl as Best Romance in the Opening Round of the 2018 Goodreads Choice Awards. I'm so freaking proud of this book, you guys! It was not only chosen by Amazon's editorial team as one of the "Best Books of October", but also as one of the "Best Romances of 2017"! If you like brother's-best-friend or friends-to-lovers romances, this one is definitely for you. But don't get me wrong, In Pieces is an entirely unique, poignant story about survival, family, loss, and, of course, an EPIC love. We’d love your help. 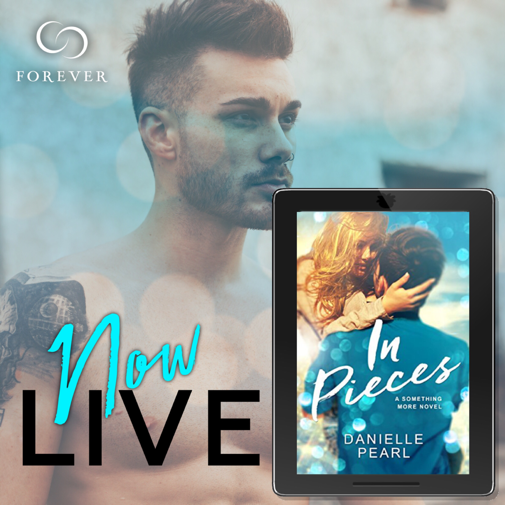 Let us know what’s wrong with this preview of In Pieces by Danielle Pearl. A group where writers can show off their work and a place that readers can find the best in any genre.